Company's coming ...your Pro-Logic Dutch Oven will cook and serve your family favorite handsomely. Cover included. Easy to clean: hand wash, dry, rub with cooking oil. At home in the oven, on the stove, on the grill or over the campfire. 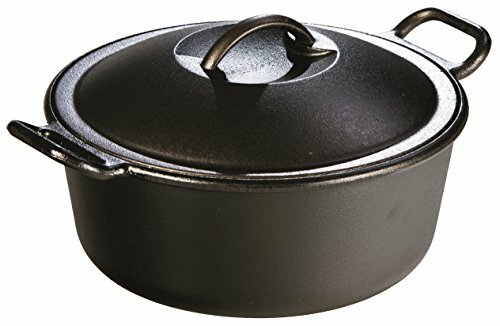 Skillet may be used on various heat sources including gas, electric, induction and ceramic-glass top stoves and ovens. When using on glass stove tops, be careful not to slide the cookware around as it's possible to scratch the surface. Seasoned cast iron can also be used on the grill or outdoor fire and coals for camp cooking. Begin heating cookware on low and slowly bring heat up to medium or medium/high. Always remove cookware from the stovetop after cooking. Set oven temperature to 350 - 400 degrees F.